LAUNDRY Drop your drawers here! Laundry is like a good friendship... it's never ending! Laundry is like God's love... neverending! Laundry Room . . . . get loaded here! 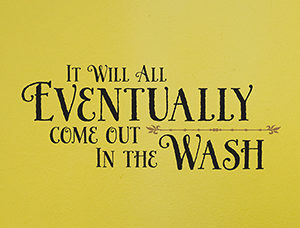 Life is like laundry... Loads of fun! Put it in the wash and it'll be grand!! Take It One Load at a Time! 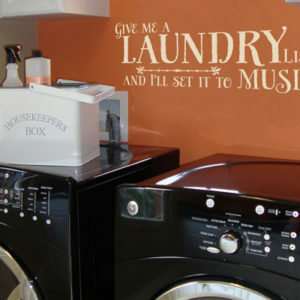 The Laundry Room: Loads of Fun! Drop your duds, in the suds! Fluff and fold. The only way to live. show it off to your guests and friends. 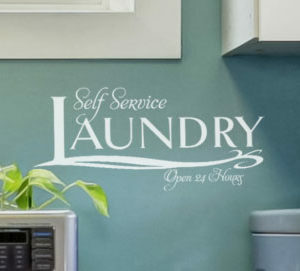 and with our visual simulator you can preview how the wall lettering will match with your laundry wall.